ESTES PARK, Colo. – Just a year after creating the VIP Experience for Rooftop Rodeo, the town of Estes Park is already upping the ante to those patrons. It’s all a major component for fans of Rooftop Rodeo, set for 7 p.m. Thursday, July 5-Tuesday, July 10, at Granny May Arena inside the Estes Park Fairgrounds. 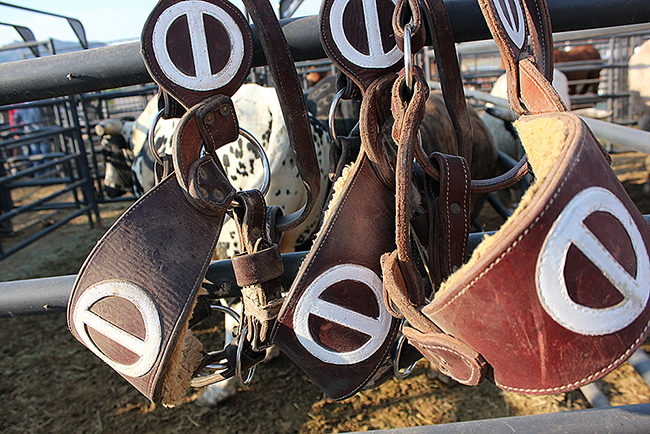 The VIP Experience allows patrons a tour of the rodeo grounds before the show, access to the exclusive VIP patio at the west gate, dinner in the hospitality area, drinks and the opportunity to utilize the padded seats in the grandstands. “We sell our VIP Experience tickets at $100 apiece, and those people will have a permanent host for the evening,” said Rob Hinkle, the community services director for the town of Estes Park. “This year in the VIP area, we have brought in a stage that we will be able to convert into an elevated viewing area with its own bar. The VIP and contestant hospitality will now be in the Estes Park Events Complex west of the arena. “We really wanted to provide a better experience,” Hinkle said. “We were having to rent the tent every year, and it just didn’t provide the experience we wanted. Over the years, Rooftop Rodeo has been recognized as one of the premier stops in rodeo. Much of it has to do with the picturesque setting of Estes Park, but it also has to do with the hospitality provided and the nature of the competition. Cowboys and cowgirls have marveled at the fans who make their Rooftop Rodeo experience even better.